About Us | Vantage Systems, Inc.
Vantage brings almost two decades of GSFC-related multidisciplinary technical experience, a robust organization, strong operating procedures, and industry-leading systems and tools. We provide extensive reachback for specialty engineering skills when needed. Vantage Systems is a Small Disadvantaged Business (SDB) that was founded in 1992 to provide aerospace software engineering services and has evolved and grown into a dynamic, multidisciplined engineering and IT company offering solutions and products throughout the engineering and software development life cycles. 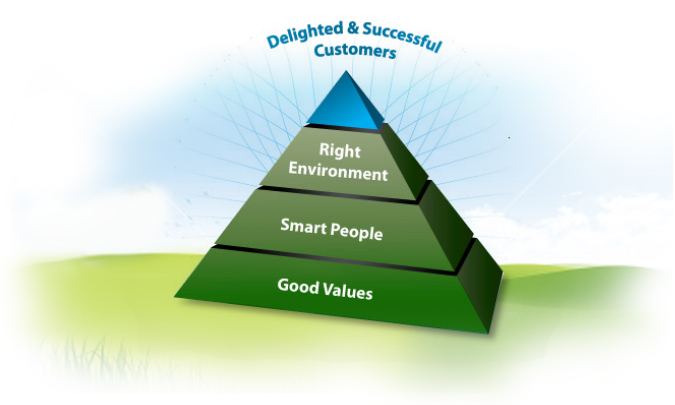 Over the years, our operating philosophy has been singularly focused on Customer Service and Customer Success. We consistently meet schedule and budget targets without fail and have the project management tools and financial management skills to successfully oversee a program from start to finish. To stand firmly on our solid reputation as a reliable solutions provider and continue to deliver engineering and IT services that make a positive impact on the needs and vision of our customers. Customer Service is our priority. We are committed to continue to provide the quality service our clients have come to expect and trust. Our corporate executives work closely with representatives in our client organizations and maintain an on-site, "hands-on" presence throughout the life of a contract. Our value system—ethical, honest, and people focused—is the cornerstone of our success in providing exemplary customer service. Our clients have come to expect that we WILL deliver what we sayon time and within budget....every time. The result is simple—Delighted customers! © Copyright 2010 Vantage Systems, Inc. All rights reserved.